In the digital era, you might not think of your company’s answering services and phone systems as being all that important. However, this couldn’t be further from the truth; 80% of consumers prefer to contact customer service representatives over the phone. 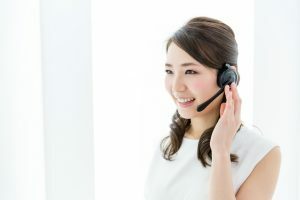 If you’ve been focusing on moving your customer service to other mediums, you could be making a few key mistakes with your current answering system and phone service for your business. If you’ve been neglecting your phone service to focus on other areas of customer service, it’s likely you don’t have someone available to answer calls after normal business hours or a 24 hour message center. This means that any customers calling after your business is closed is likely to not reach someone, meaning your customers will end up frustrated and with unsolved issues. A 24 hour message center can help keep your customers satisfied and even improve brand loyalty for your company. If you don’t have an after hours answering service, you likely expect your customers to leave a message for you. Believe it or not, this could be a huge mistake that’s costing you business and new customers. Most customers won’t leave a message if they get sent to voicemail when they call your business. Rather than losing customers by relying on voicemail, it’s better to have a live person available to answer the phone and address customer issues immediately. Phone answering services can help you manage your phones and always have someone available to take a customer call, so you won’t have to worry about losing business by asking customers to leave a message. It’s common knowledge that nobody likes being put on hold, but businesses do this incredibly frequently. If your phone system is disorganized, a person could be waiting on hold for a long time while you try to find the right person to redirect the call to. Having a high-quality phone answering service can help you and your customers handle issues quickly, without having to put people on hold as frequently. Wondering if you could benefit from a 24 hour message center or phone answering service? Contact A Better Answer today for more information.